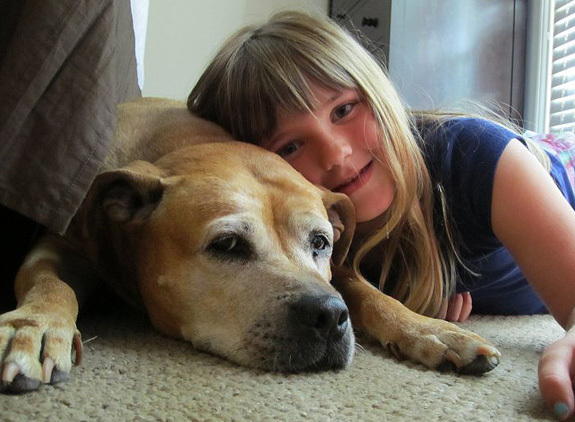 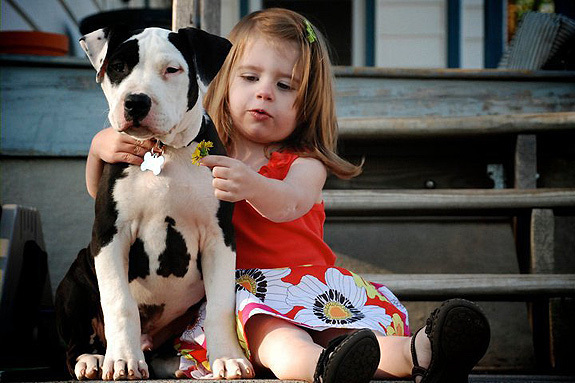 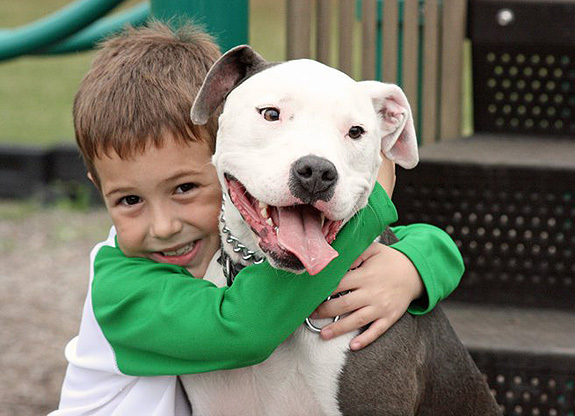 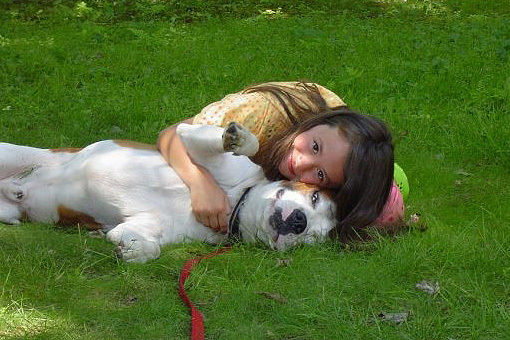 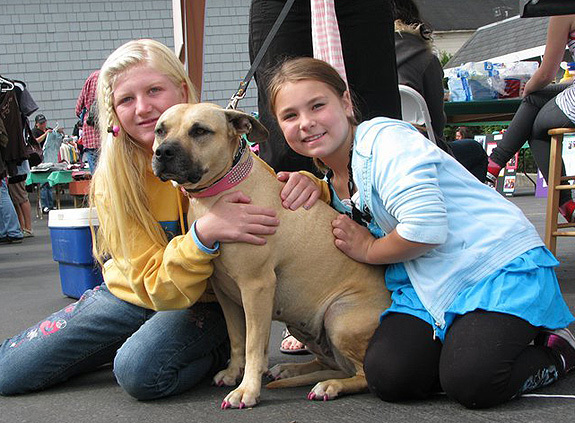 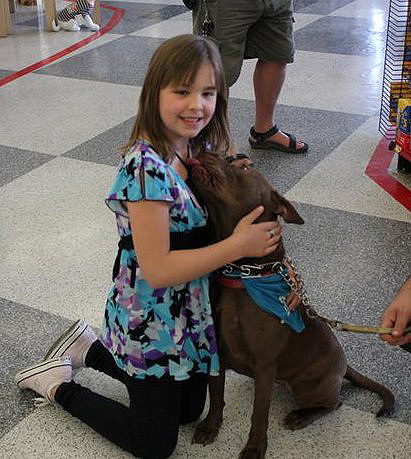 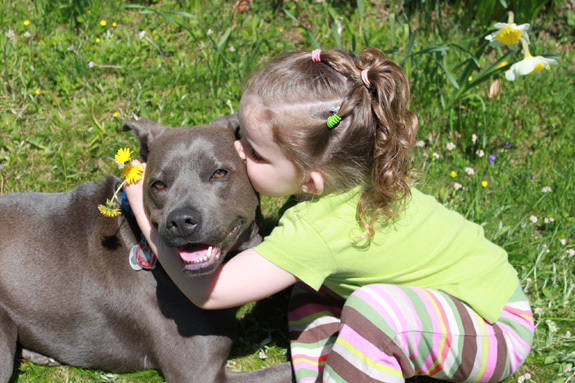 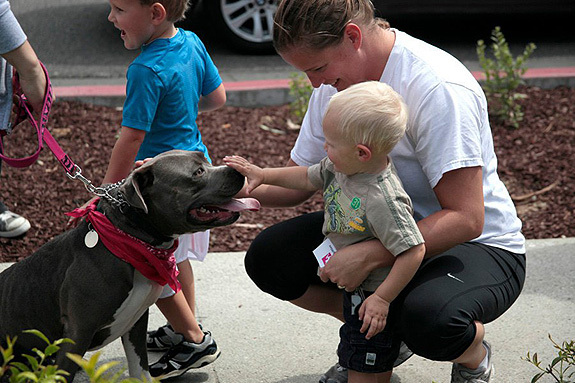 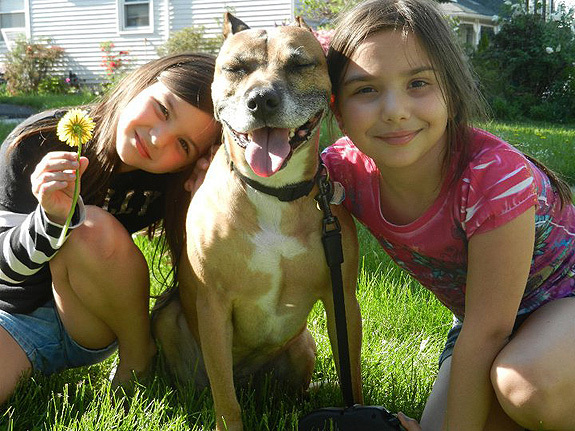 StubbyDog is celebrating kids and pit bulls during May. 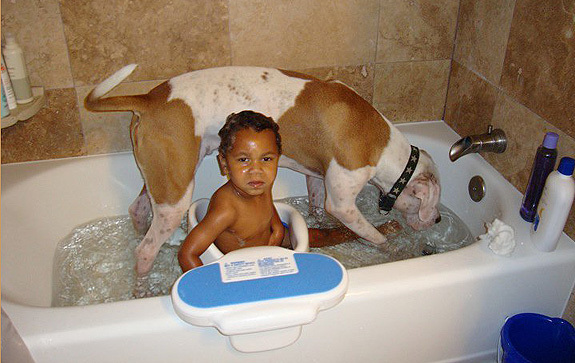 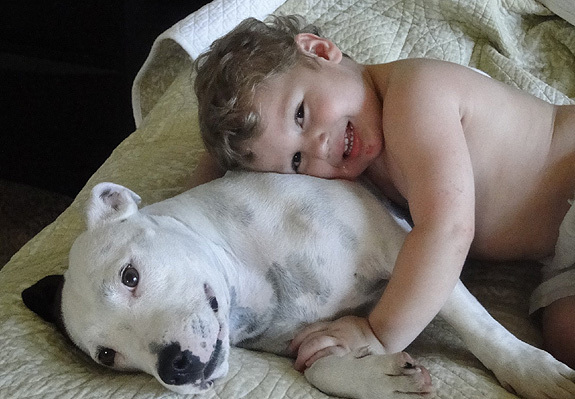 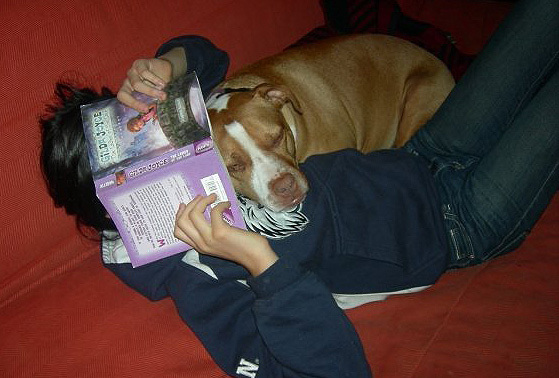 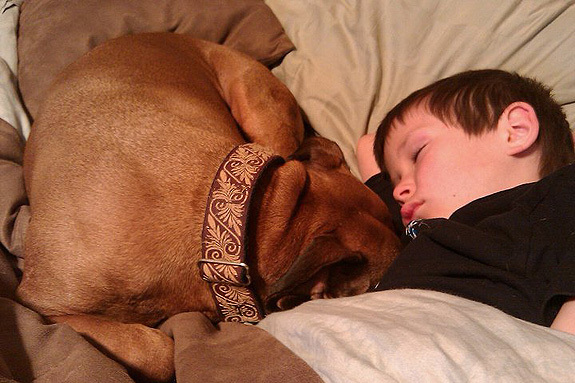 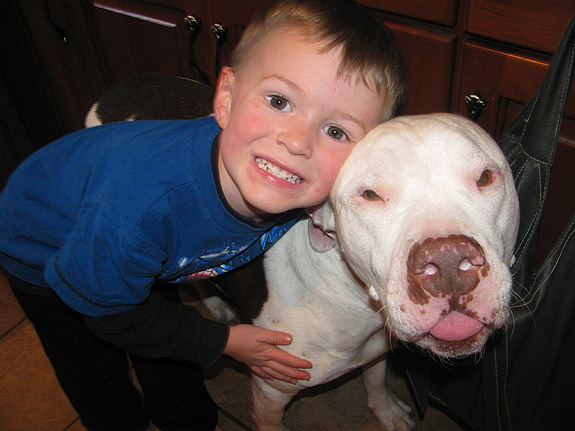 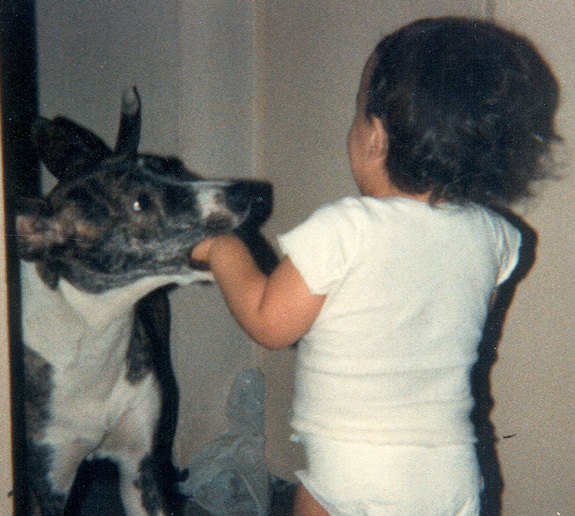 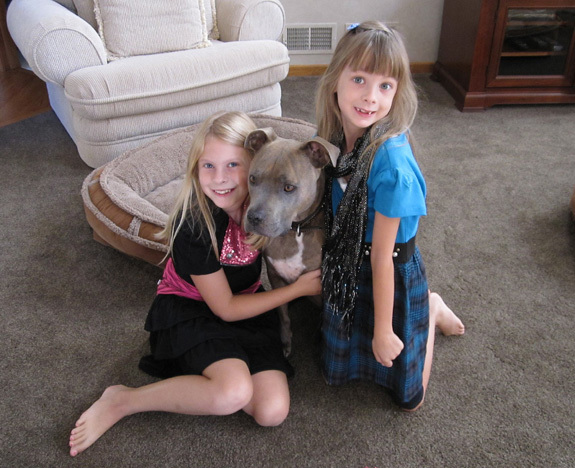 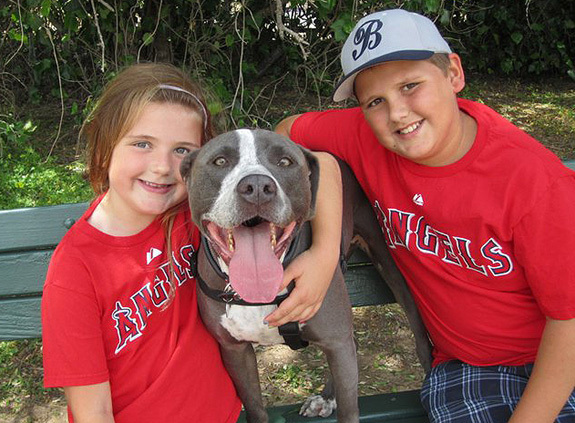 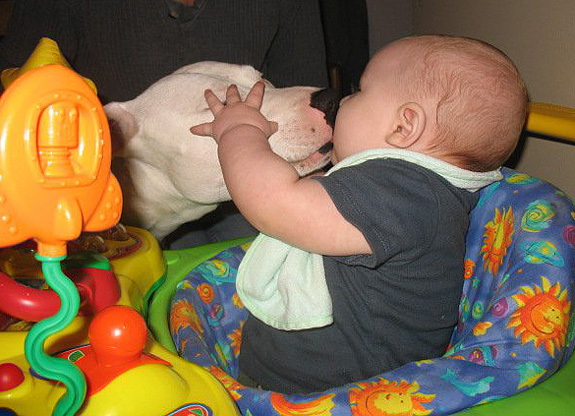 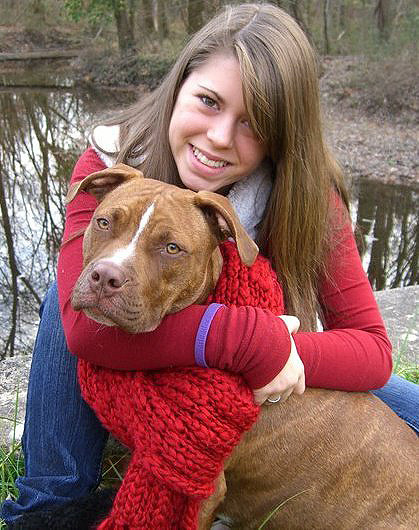 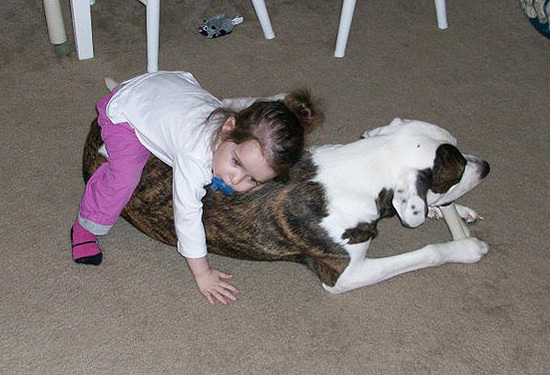 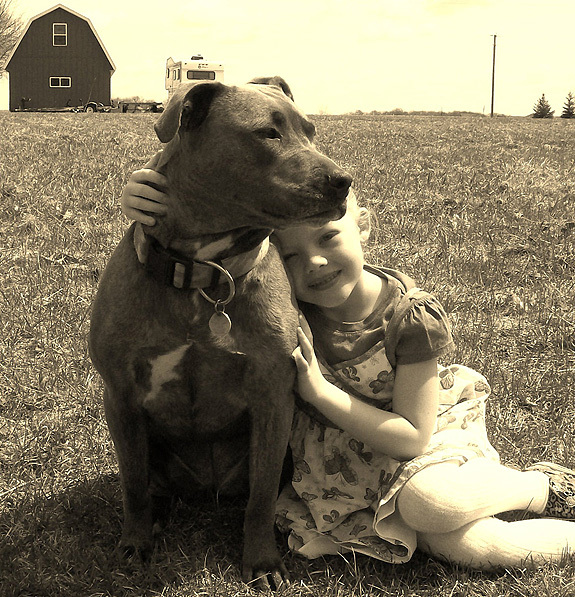 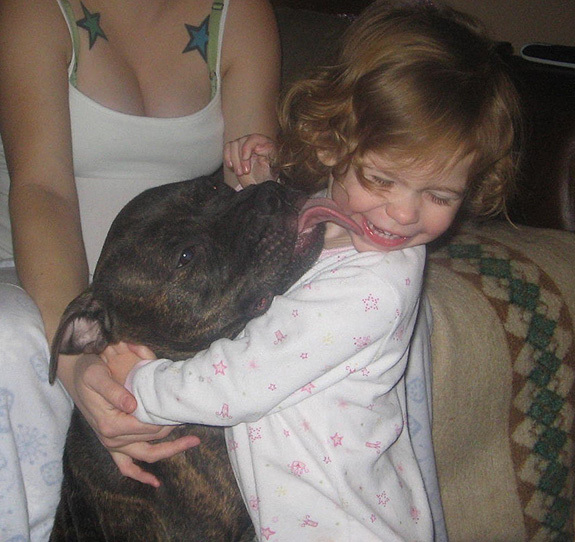 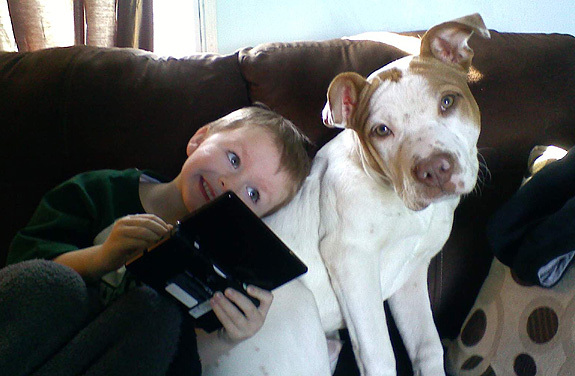 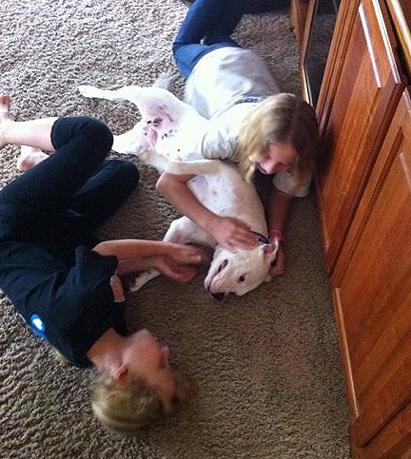 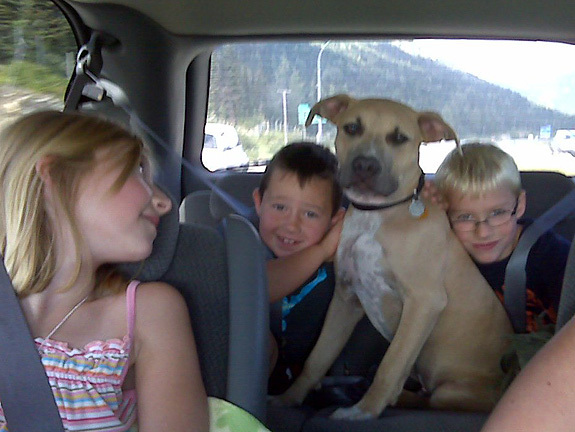 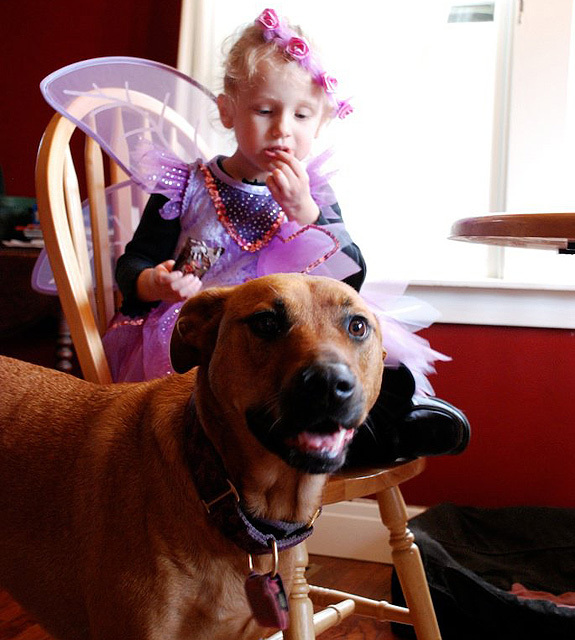 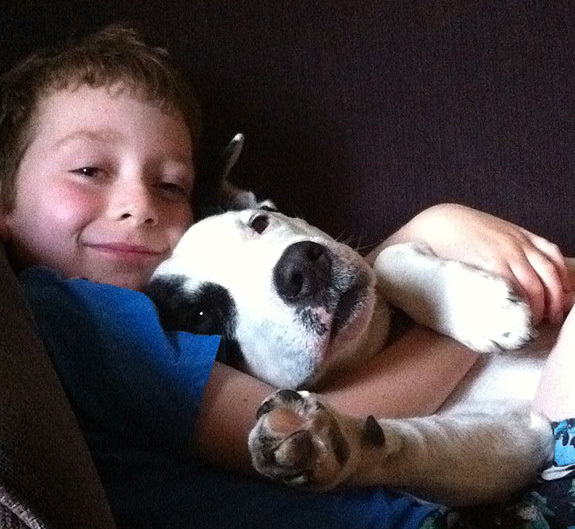 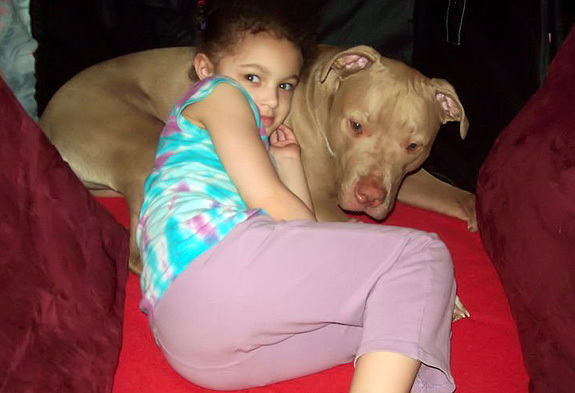 So we asked our Facebook fans to post photos of their pit bulls and kids. 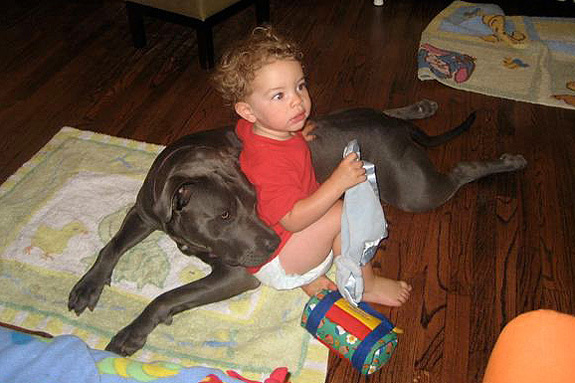 What an explosions of cute pics we got! 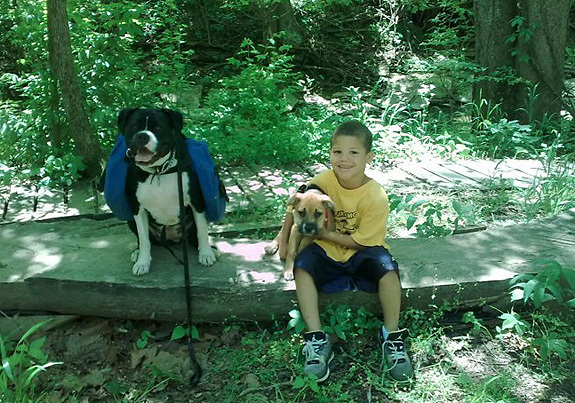 Thanks everyone for sharing! 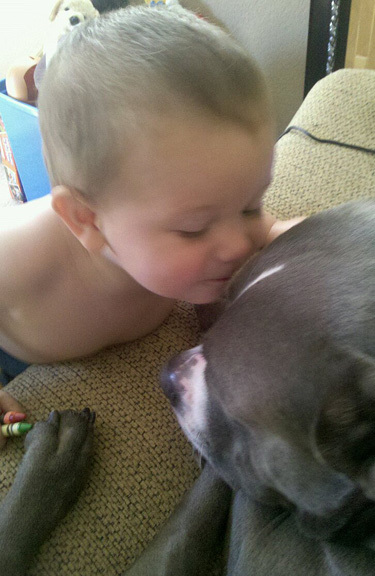 Jr., 20 months, loves his pit bull, Gordo, 3 years! 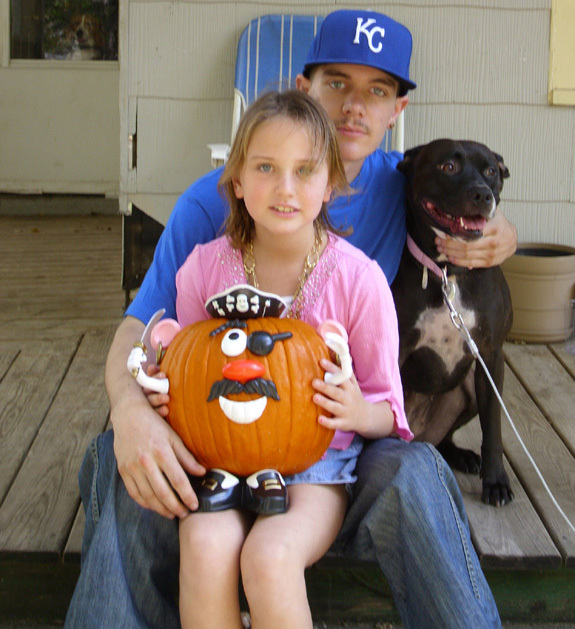 ~ Juan Garcia Jr. 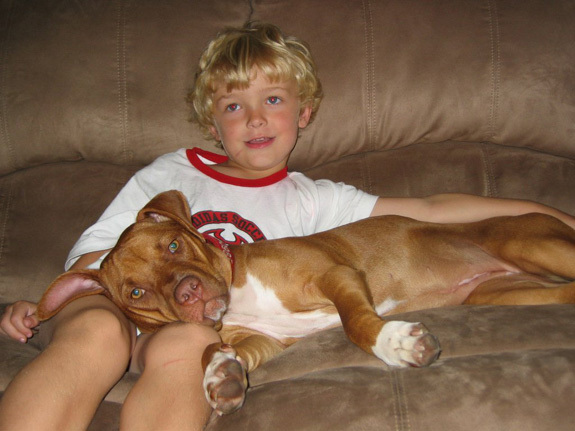 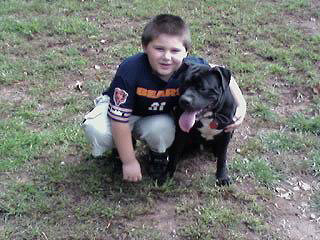 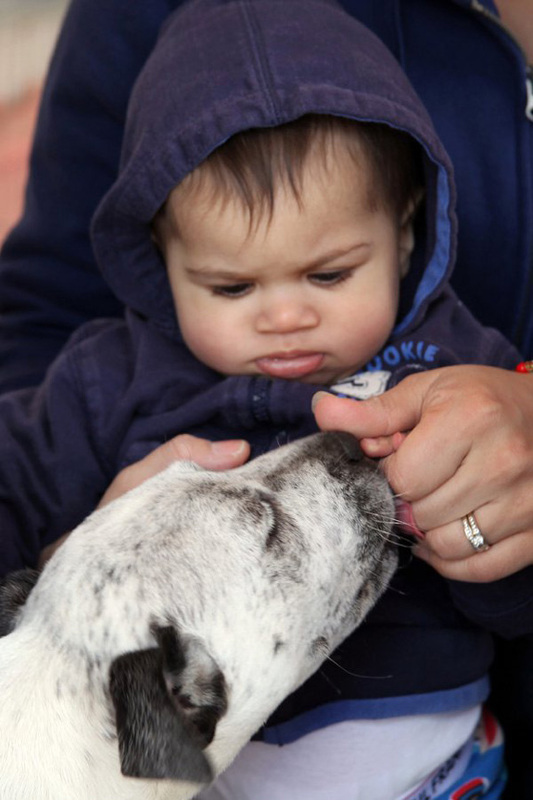 This is my grandson Nicolis at 5 years old with Lucky. 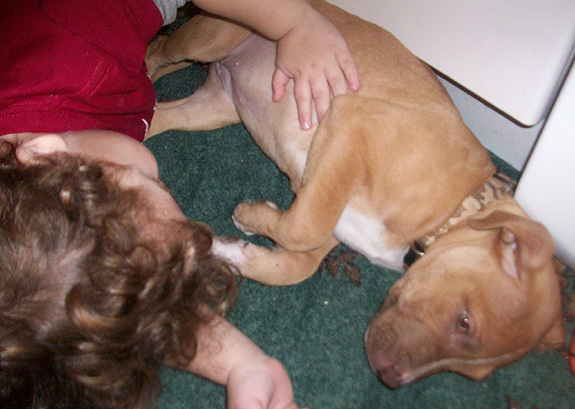 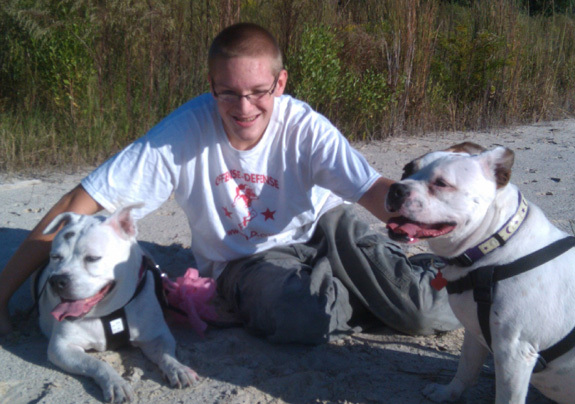 Lucky was named Lucky because we figured because of where he was found, he was lucky to not be used in dog fighting. 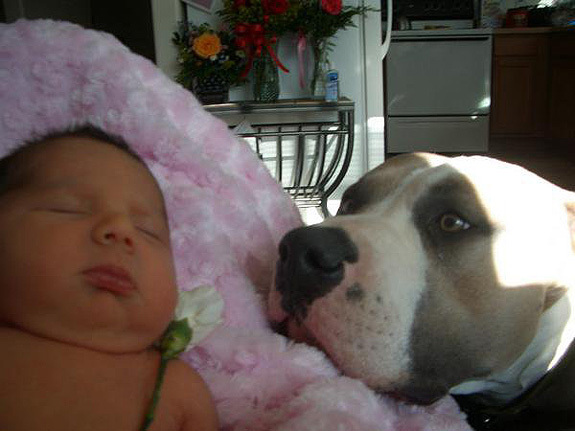 And he is a big old sweet dog that loves and watches over Nicolis. 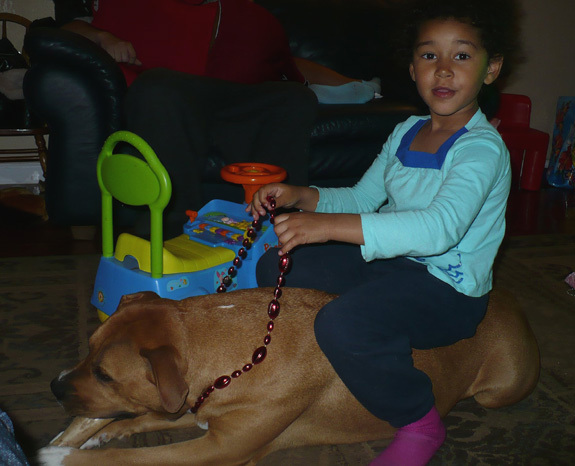 @JillRheaume Haha, thanks for commenting. 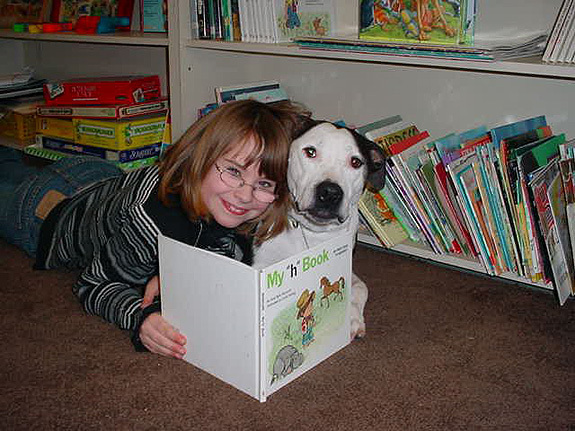 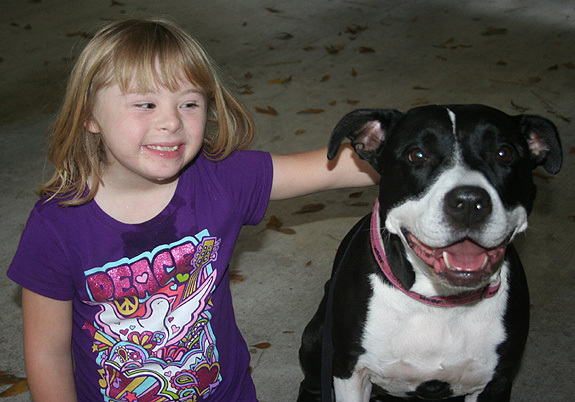 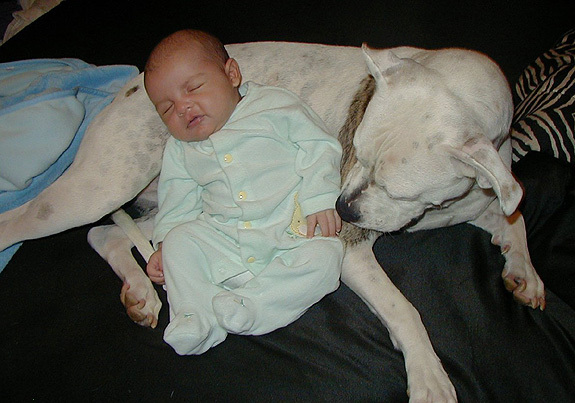 I had the pleasure of caring for a little girl named Mollie who had Cerebral Palsy years ago, she and my American Pit Bull were good friends. 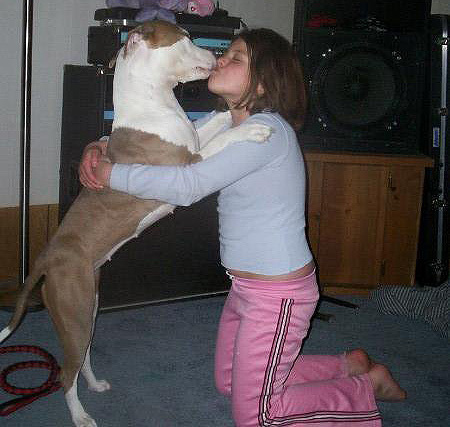 I would bring Mo home to hang with Gia and Gia would just kiss her face off. 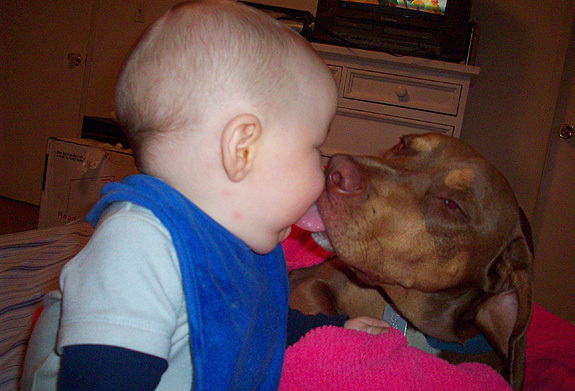 lol One day Mo bit down and got the tip of G’s tongue in her teeth, it really was like a scene from dumb and dumber with the whole tongue stretch. 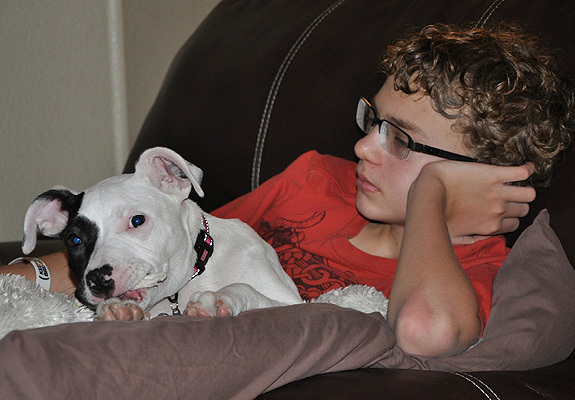 Mo let Gia loose, she walked away for a sec as if her feelings were hurt and went right back of to love Mo some more. 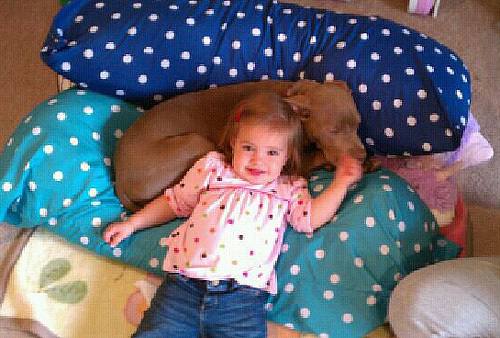 You can’t get more laid back than Gia and she looks a lot like the dog Mello above. 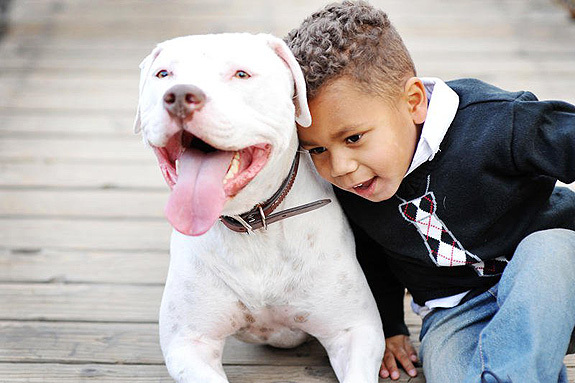 @NonyaFlippinBizz Such a sweet story. 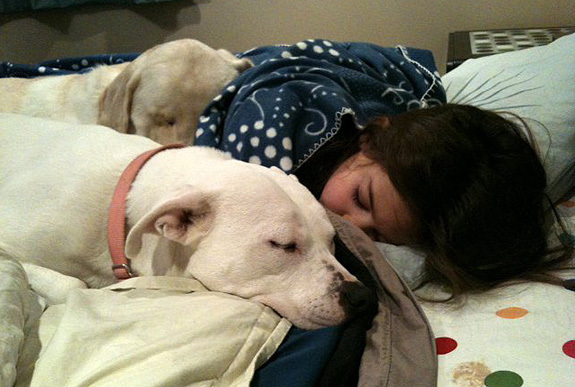 Gia sounds like a dream dog. 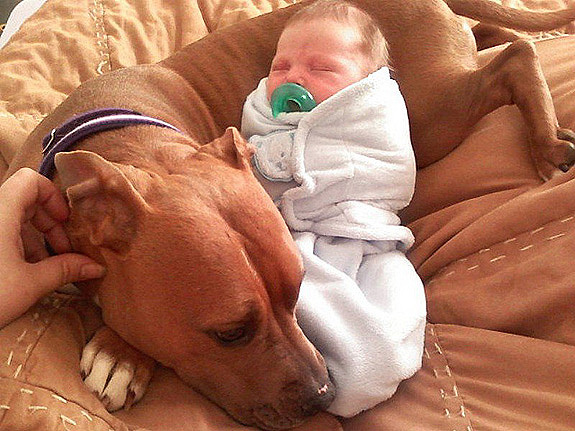 What a good nanny dog! 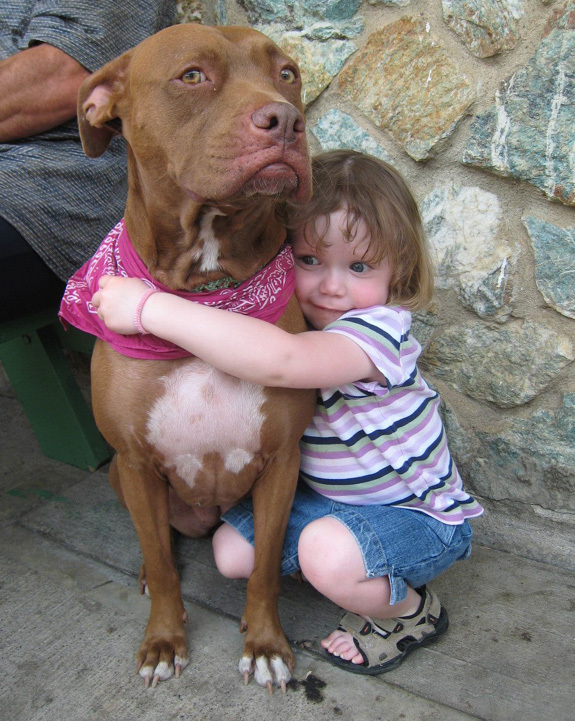 What a fantastic photo thread! 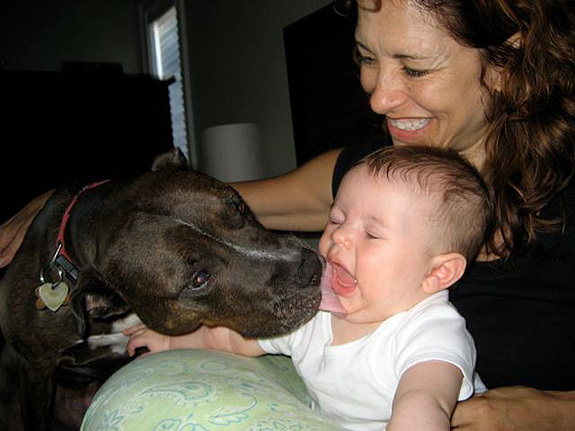 :D! 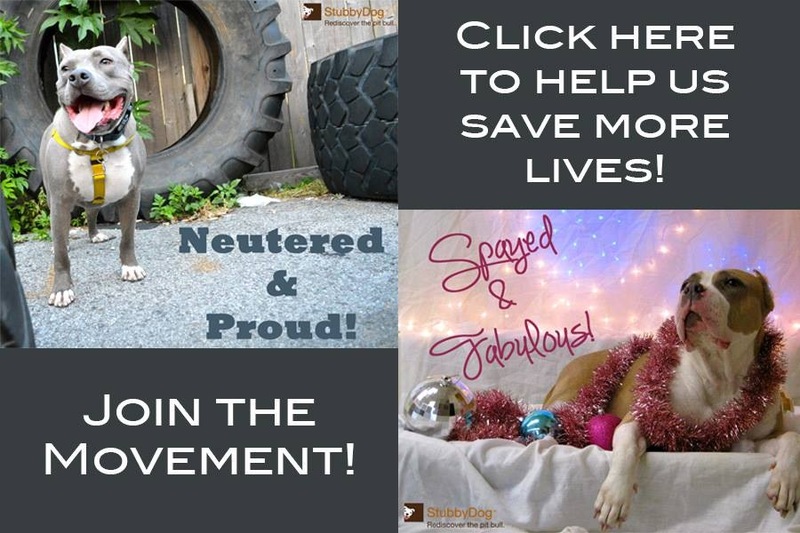 @skreidle Thank you and thanks to all our Facebook fans for contributing! 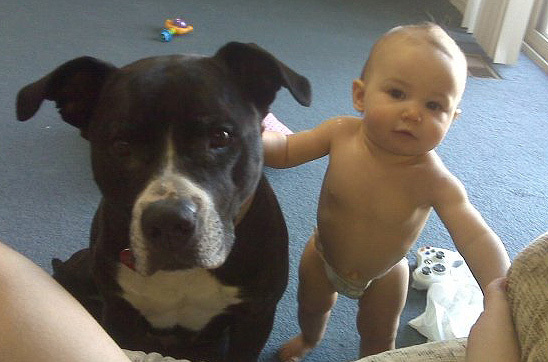 I want to post a pic, is it too late? 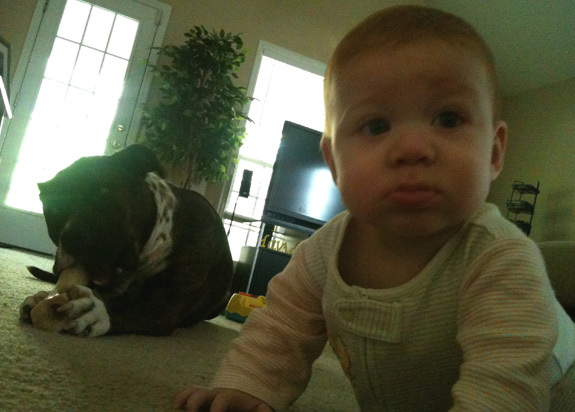 SOOOO cute… All those pictures.. 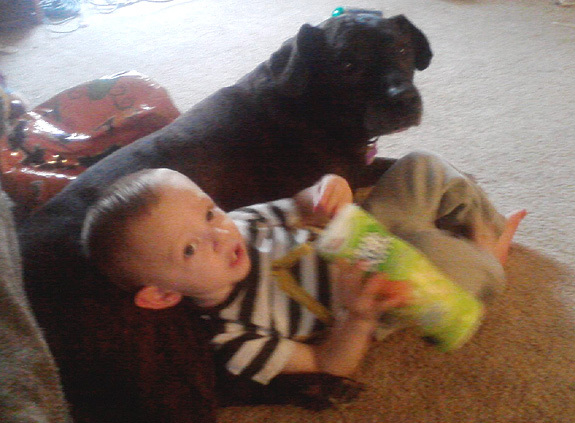 I have a lot of my two with my four dogs!